Bush-Kerry: Meaning the Same Thing? Reprinted from ConsortiumNews.com with permission. It has become a staple of the national press corps’ "conventional wisdom" that George W. Bush and John Kerry really aren’t very different on many issues, if one looks past the rhetorical tone to their actual policies. But this supposedly tough-minded analysis may be just one more example of the news media’s sophomoric political thinking. The core fallacy of this "tweedle-dee-tweedle-dum" analysis is the assumption that Bush actually means what he says, when his record is that he often says what is convenient to the moment or what may stir up Americans but turns out to be untrue. Indeed, if there’s one lesson the news media should have learned in the past three years, it’s that Bush isn’t the "straight-shooter" he pretends to be. On both little and big issues, from his petty shifting of blame for the "Mission Accomplished" banner to his momentous false claims about weapons of mass destruction, Bush has demonstrated that his comments can’t be taken at face value. So, it makes little sense for national pundits to compare the words of Kerry and Bush as a meaningful measure of how similar their policies are. An example of this approach appeared in an influential article – entitled "Despite Rhetoric, Bush, Kerry Agree On Many Issues" – by Washington Post political writer Jim VandeHei. The May 9 article, whose theme has been repeated endlessly on TV pundit shows, concluded that Bush and Kerry have nearly identical policies on a wide range of issues, from the budget to taxes to Iraq. For instance, as one example of their matching policies, VandeHei cited the federal deficit, which both Bush and Kerry favor cutting in half by 2009. But any similarity in their positions is only superficial, to be found in their words not in their records. Any sensible analyst would note that Bush is proposing cutting in half a record budget deficit that he created in the first place. So there are strong reasons to take Bush’s halving the budget claim with a large grain of salt. He didn’t live up to his budget promise in Campaign 2000 and he hasn’t shown much skill in bringing the deficit under control since then. By contrast, though Kerry doesn’t have a record as President, he did support the Clinton administration’s policies of targeted tax increases and spending controls that contributed not only to cutting the $290 billion deficit of 1992, but turning it into the $236 billion surplus in 2000. So while the rhetoric might be similar, the records are starkly different – and thus the policies must be evaluated in that light. VandeHei also observed that both Bush and Kerry want to maintain the tax cuts for the middle class, supposedly demonstrating again how they are pursuing identical policies. But that analysis is misguided, too, because the more important point is that Bush and Kerry differ over what to do about tax cuts for the wealthy. Bush wants to keep all the tax cuts that he pushed through Congress and wants to make some temporary cuts permanent. Kerry wants to repeal Bush's marginal income tax cuts that go exclusively to those who make $200,000 or more per year. Rather than showing that the candidates are on the same page in their tax policies, their tax positions actually represent significant differences, indeed possibly the most fundamental differences between Republicans and Democrats. VandeHei’s influential Post article also contributed to the "conventional wisdom" that Kerry and Bush have essentially the same policy on Iraq. Kerry did vote for Bush’s war resolution in 2002 and the two candidates now say they favor greater involvement by the United Nations in resolving the conflict. But sincerity also has to be factored in before deciding that the two candidates are presenting the same strategy. Though Bush has said he wants the U.N. involved in Iraq and so does Kerry, their notions of what this international cooperation would mean contrast dramatically. People who have known Kerry for years have no doubt that he is sincere in his desire to share the load with international organizations, while Bush sees the U.N. folks mostly as people to carry his bags. While perhaps now chastened by the failure to find the WMD stockpiles and by the stubborn resistance of Iraqi guerrilla fighters, Bush continues essentially to demand that the U.N. prove its "relevance" by serving his political needs in Iraq. Most recently, Bush declared that U.N. emissary Lakhdar Brahimi would pick the interim Iraqi government, but later Brahimi was overridden on his choices for the top two posts. In the end, the interim government resembled a reshuffled version of the Iraqi Governing Council that had been handpicked by Bush’s civilian administrator, Paul Bremer. So it’s at best misleading to equate Bush’s denigrating attitude toward the U.N. with Kerry’s calls for a mutually respectful relationship. Again, the strategy on internationalizing the Iraq War may be more a major policy difference than a similarity, despite the commonality in the surface words. Kerry’s vote for the war resolution also reflected more differences in the two approaches than consensus with Bush. Kerry said he favored giving the President the war authority so he would have a stronger hand in getting Hussein to come clean on his WMD programs and in rallying international support for a muscular inspections regime if Hussein resisted. Bush also has insisted that he’s not a "unilateralist" – and he can cite his "coalition of the willing" countries in Iraq – but the obvious reality is that Bush does believe in his right to take unilateral action, with or without the approval of Congress and the United Nations, to attack countries that he judges as possible future threats to U.S. national security. Indeed, unilateral action is the core element of what’s known as the Bush Doctrine of Preemptive War. Obviously, the two presidential candidates agree on some mom-and-apple-pie issues, but so would any national candidates regardless of their political ideologies. In this regard, VandeHei mentions that both Bush and Kerry would "limit government spending," as if anyone would run on a platform of unlimited government spending. He also notes that Kerry and Bush both oppose turning over U.S. national security to some foreign country or institution, as if any U.S. President would advocate that. But the Washington press corps can’t seem to accept the possibility that Bush may simply be paying lip service to some more controversial positions. It does go against Bush’s long-standing image as a "straight-shooter." Yet between the phantom Iraqi nuclear weapons project, the never-proven links to al-Qaeda – and now evidence that the prison torture abuse scandal reaches far beyond "a few bad apples" – Bush’s record on Iraq should trouble even the most gullible of hearts. Even on something as petty as the circumstances surrounding the USS Abraham Lincoln’s "Mission Accomplished" banner, which was unfurled behind him for his seaborne victory speech on May 1, 2003, Bush can’t tell a straight story. In November 2003, as the U.S. death toll was rising and the banner became an embarrassment, Bush tried to shift responsibility for the slogan to the crewmen. "The 'Mission Accomplished' sign, of course, was put up by the members of the USS Abraham Lincoln, saying that their mission was accomplished," Bush told reporters. "I know it was attributed somehow to some ingenious advance man from my staff. They weren’t that ingenious, by the way." So, apparently, the "Mission Accomplished" idea was Bush’s all along – referring not to the crew’s mission but to Bush’s mission of ousting Saddam Hussein. He just shifted the blame to the crewmen when that seemed like the expedient thing to do and later switched it back when he had figured out a way to spin it. Still, despite Bush’s record as someone who can’t keep a story straight, he retains his reputation with much of the Washington press corps and many American citizens as someone who tells you what’s on his mind. The opposite is true of Kerry. Reacting to what they’ve absorbed from national TV coverage and campaign ads, 61 percent of Americans in one poll said Kerry is someone who says what he thinks people want to hear. Only 43 percent said that about Bush. With Bush, there’s always the legend and the reality. Arguably more than any President in history, Bush has sought to project boldness, strength and frankness. Through his posture, clothes and rhetorical style, Bush has honed a character that looks, sounds and acts authentic, even when he’s blatantly misleading the public. Since his first days as a candidate for governor of Texas, Bush has painted himself as a self-made Texas businessman with a strong religious faith and the moral values consistent with the Bible Belt of Midland, Texas. But this character hardly squares with the real George Bush, who was born to great personal privilege and consistently "failed up." Though supporting the Vietnam War, Bush didn’t want to go there and fight. Instead, he snagged a coveted spot in the Texas Air National Guard, which protected him from the draft. From there, however, he disappeared from regular duty, skipped a required flight physical and got out early to go to Harvard Business School. In business, whenever one of his companies ran into trouble, his father’s friends or associates bailed him out. His political career derived almost entirely from his family’s connections, too. If Bush had been born into a less fortunate family and acted as recklessly as he often did, he almost certainly would have ended up a failure. Conceivably, he could have landed in jail, either from his substance abuse or his financial dealings. He definitely wouldn’t be President of the United States. It is hard to think of a corner that Bush hasn’t cut in his life – or of an accomplishment that he actually achieved on his own. By contrast, Kerry was born into a well-to-do family but saw that privilege more as a responsibility. Though opposed to the Vietnam War while at Yale, he volunteered for combat duty in one of the most dangerous assignments in the Navy, skippering a fast boat along the Mekong River. After returning home with a Silver Star and other medals, Kerry chose to speak out against the war with the goal of bringing it to an end. In politics, he often has taken on politically risky investigations, such as probing the Reagan-Bush administration’s secret wars in Central America and examining the bipartisan financial corruption surrounding the Bank of Commerce and Credit International. Yet, whatever the reality, Bush is widely praised for his steadfastness, while Kerry is tagged for equivocating. Though Washington journalists might be expected to know better, they have bought into the image of the straight-talking Bush versus the waffling Kerry. Indeed, one could argue that Bush’s greatest achievement has been his ability to sell his image to the Washington press corps and through them the American public. 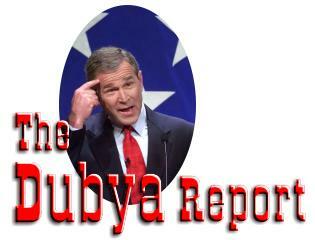 Polls suggest that the American people, like movie-goers, have suspended their sense reality to accept Bush’s legend. By wide poll margins, in the 60 to 70 percent range, the American people say that Bush is a strong, decisive leader with a clear vision of where he wants to lead the country. On the downside, however, a growing number also say they don’t like where the country is headed. But the national news media may again be giving Bush a break by spreading the "conventional wisdom" that Kerry wants to take the country in pretty much the same direction as Bush does. The choice then would be between the two personalities, a contest that Bush might prefer. The truth, however, may be that the two candidates may be using similar words but meaning very different things.